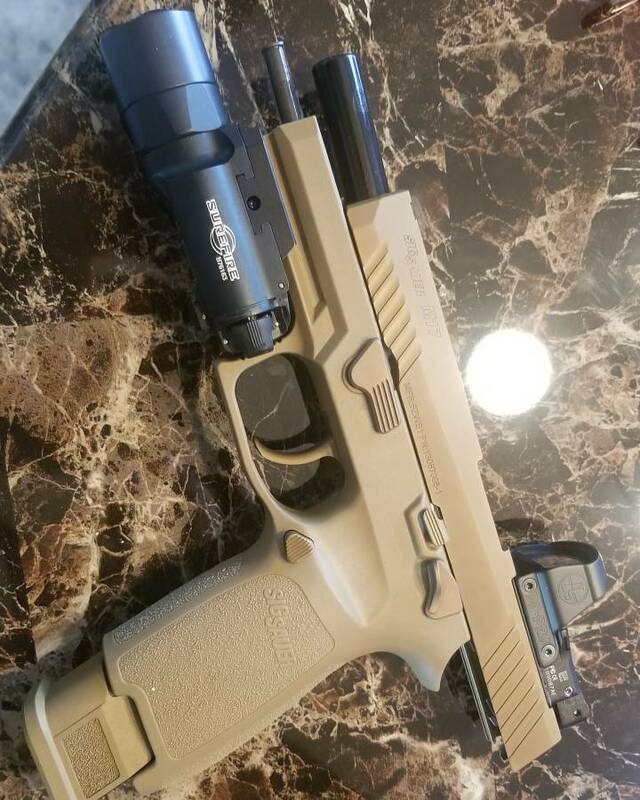 Sig Sauer x-carry 5000 round basic review. 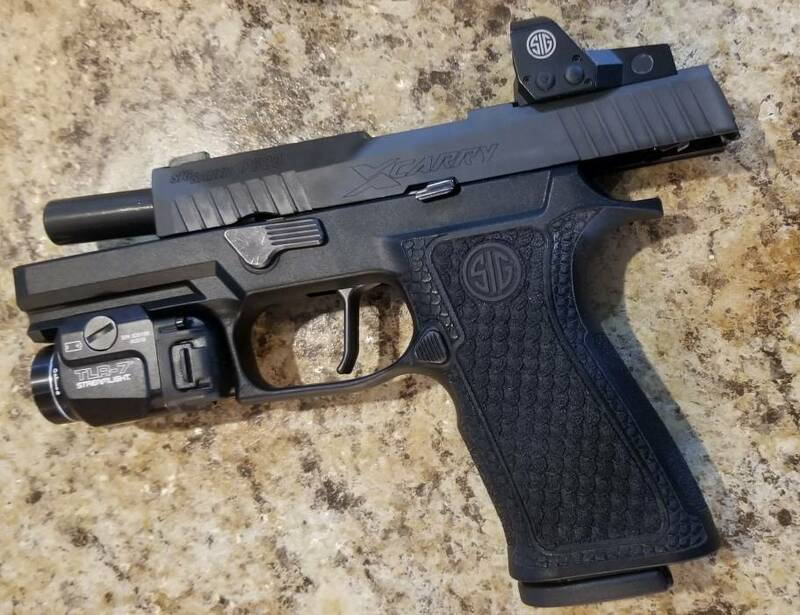 Thread: Sig Sauer x-carry 5000 round basic review. For years I was a proponent of the "just get a G19 and be done with it" philosophy. SIG's tacky marketing and repeated recalls had me writing them off. But on a complete impulse buy, I picked up a 320 X-Carry several weeks ago. I've tried to find something to hate about this gun, but I can't. The trigger, X Ray sights, and grip angle are just about perfect IMO. I ended up buying a second example, which interestingly happened to be consecutively serial numbered to my first pistol. Both were "born" in June 2018 and have run flawlessly through ~2K between them. This includes everything from cheap Magtech/Blazer/Fiocchi ball to Critical Duty, HST, and Federal LE bonded loads. With my Glocks, I had always accepted the low/left fliers at 25 yds as my own failure as a shooter. I'm just your average LE guy...not some high speed operator with an unlimited ammo/training budget. But out of the box, both of my X-Carry pistols have been consistently delivering fist-sized groups directly at POA 25 yds off hand. Previously I've never been able to achieve that with anything but a tuned 1911. I'm still skeptical of SIG as a company, but I can't argue with the results given by these two pistols. I've been carrying the X-Carry off duty with the IWB and OWB options offered by TR Holsters on eBay. So far, they've been solid holsters despite the relatively low price. I will admit the gun carries differently from the G19...its thicker and a bit longer in the grip. But I'm still able to easily conceal it without having to go out and buy to out and buy new clothes. Bottom line: I would be carrying this gun on duty over my issued G17.4 if Safariland offered a holster for it...Dept policy requires a 6280-style SLS holster. I had forgotten the x-ray sights! They are fantastic. Also i was asked how many rounds had i run with the apex kit. 500. He also got a bigger brother. Off topic and maybe you have the answer.. Do the screws that come with the Deltapoint Pro fit on the M17 threaded holes? From what I recall the screws on the DPP are M4x.7x15.8mm and the screws on the Romeo1 are #6-48. I'm guessing both thread pitches are similar because the M17 can fit both optics. There are posts on SigTalk that discuss this problem. One works, the other doesn't, as the screw holes are too large. Not sure which is which but logic tells my the R! works but the DR doesn't. The M17 commemorative only fits the dpp and the soon to be released romeo1t. There is still the issue of the different screw sizes, unless the soon to be released R1T comes out with the same size screws as the DP. Last edited by austinN4; 09-14-18 at 08:26. That is great for new buyers, but not so great for guys that already own the R1 and the M17 commerative. We are at 7500 rounds. Apex trigger is in but with factory trigger bar.